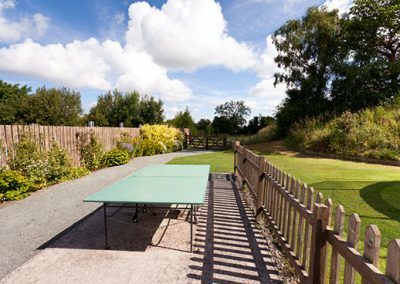 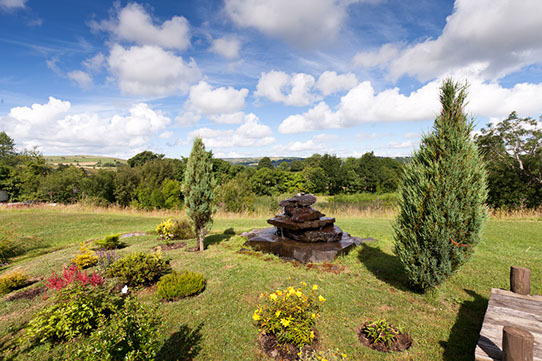 Llwyn Celyn holiday home park is a Family owned and operated caravan park situated in the beautiful mid Wales countryside, we offer breath-taking views and the kind of peace and tranquillity only the welsh countryside can provide. 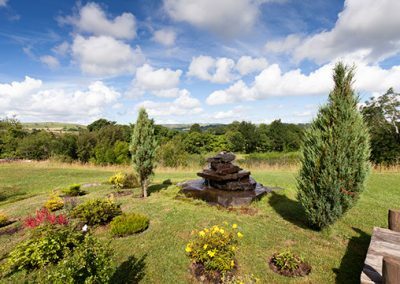 Leave all the stress of the city behind and get back in touch with nature while still having access to modern life creature comforts at Llwyn Celyn we really can offer you the best of both worlds. 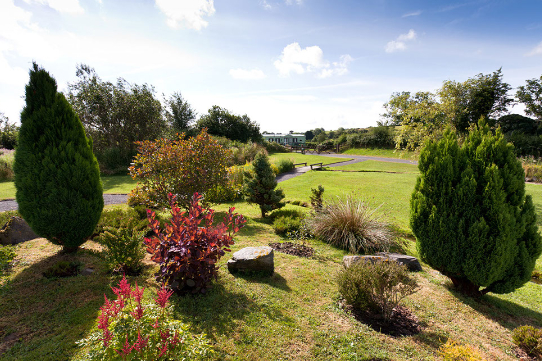 Beautiful welsh vistas, idyllic peace and tranquillity and access to modern day creature comforts are only half of what we have to offer, we are also unique in that we offer the largest spacing between our caravan plots that you will find on any park and we also offer a very large car parking area. 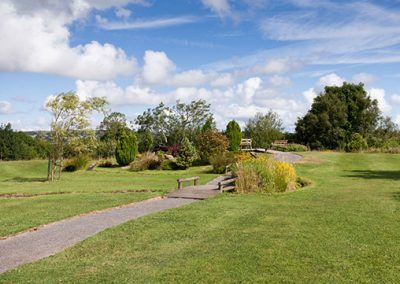 Dogs are welcome on the park. 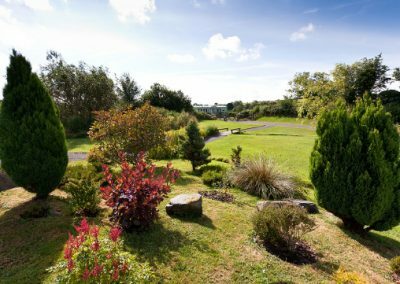 Have a gander at our full facilities below then why not pop on over to our gallery and see our park in all its glory, if you like what you see or just fancy a day out and find yourself in our neck of the woods just pop on in for a visit. 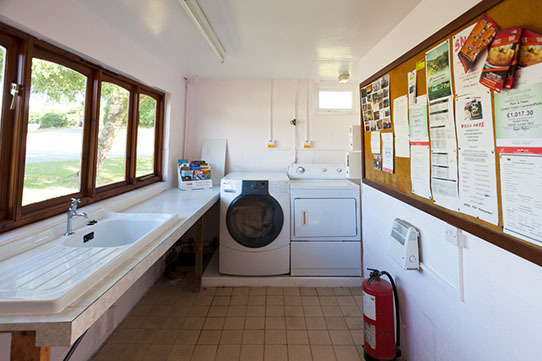 Laundry Suite: Our on site laundry suite has both a washer and dryer both of which are coin operated and the suite is open 24/7, there is also a payphone and toilet facilities contained within the laundry suite building. 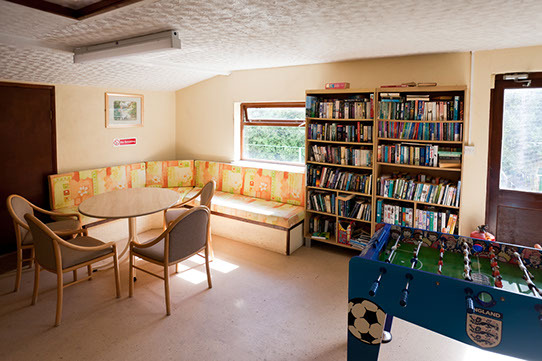 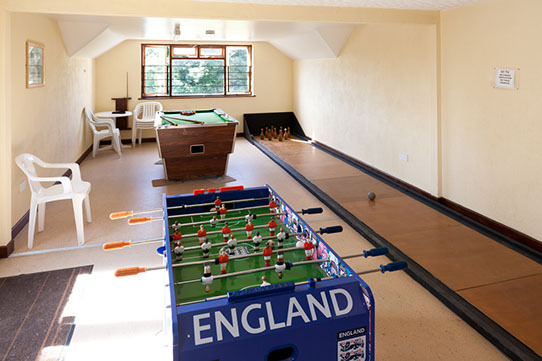 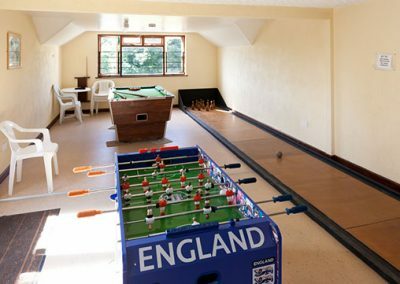 Games Room: Our games room is a great place for all the family to enjoy, we have a large and comfy seating area with a large collection of books and puzzles along with full sized skittles and pool table along with our oversized connect four and football table. 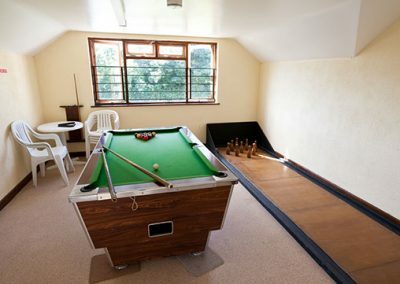 The games room has full disabled friendly toilet facilities including a shower. 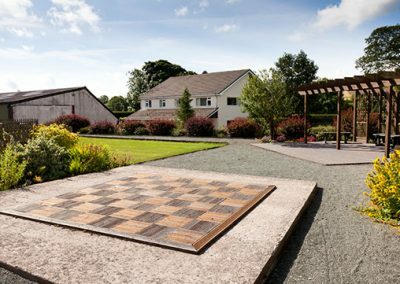 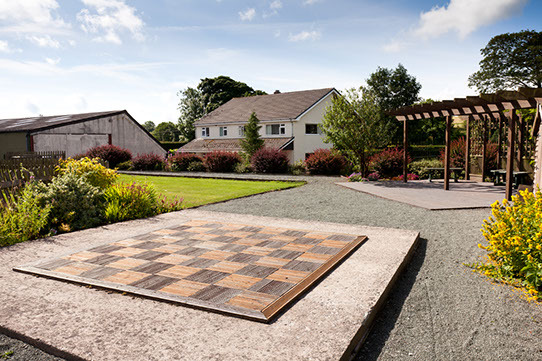 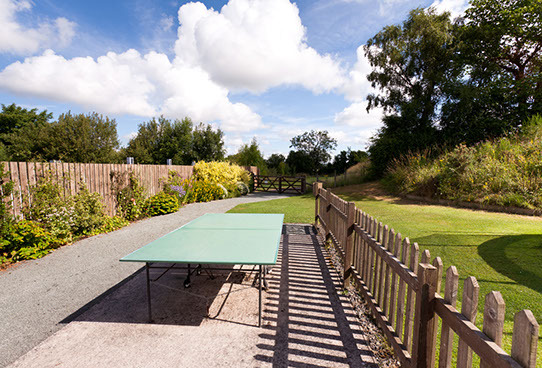 Outdoor Play Area: Our outdoor play area has a children’s climbing frame along with a pitch n put mini golf area and football goal posts which are moveable, there is also all weather table tennis and a seating area which overlooks the entire play area. 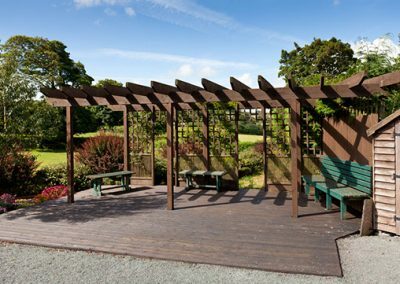 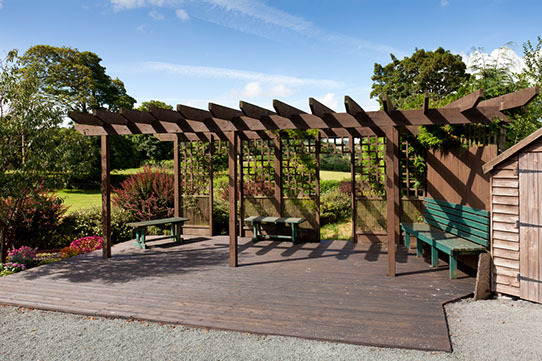 Lake & Garden: Our lake complete with ducklings is situated in the feature garden area of the park which in and of itself is a beautiful and tranquil site to behold but when you add the backdrop of the welsh mountains it truly takes on a life all of its own. 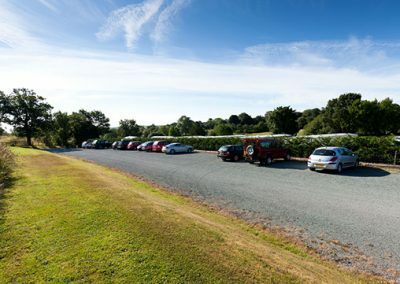 Car Parking: We believe in keeping our park looking the best it can be at all times that is why we have a policy of only allowing cars near vans for loading and unloading at any and all other times vehicles must be kept in the very spacious car park so whether you drive a mini or a range rover there is plenty of parking space available. 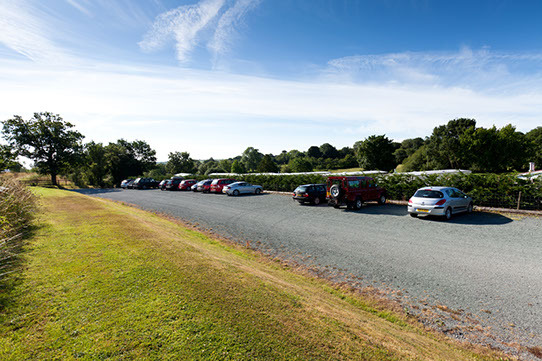 FREESAT: In keeping with making our park look its best at all times we don’t allow dishes by caravans as we believe it looks unsightly so we built clusters of dishes dotted around the park so that a Freesat connection is available to any and all of our plots. 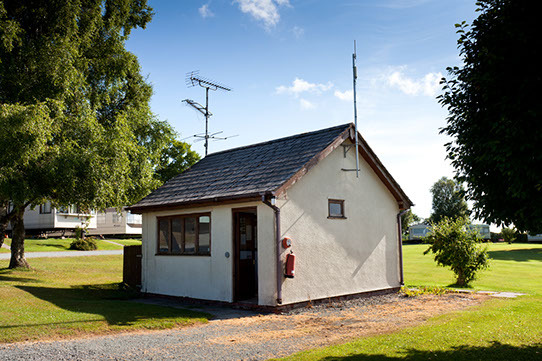 For a one off connection fee of £120 we will connect your van to our inbuilt Freesat system and as each van gets dual cables you can both watch and record Freesat channels but we do not provide Freesat receivers as part of this service they must be provided by the customer. 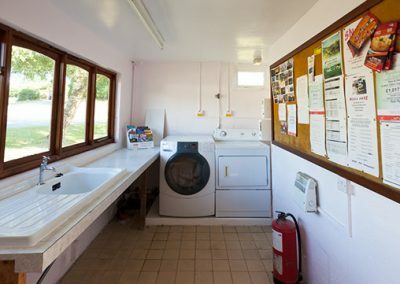 video chat with friends and family on the other side of the planet. 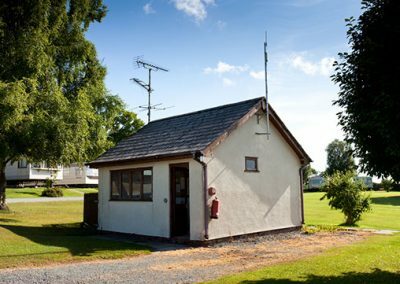 Whether your checking your email and social media or streaming a TV show or movie the Internet is a huge part of our lives and for those that want to stay connected we have you covered.